Read how, for the sixth year in a row, Gartner has positioned Microsoft as a leader in operational database management systems (DBMS). Get the latest research to weigh all your options in database management in the increasingly competitive market. Use the Gartner Magic Quadrant report to make informed modernization choices and learn about new opportunities from nonrelational and cloud vendors. 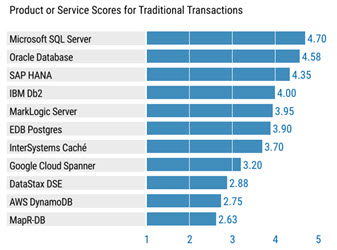 See how vendors are evaluated based on their completeness of vision and ability to execute. Learn how open-source-based products will account for more than 20 percent of database management revenue by 2020. Understand the cloud platform developments that are forecast to drastically change the DBMS vendor landscape.